Rincon Beach Park (or as locals call it, Bates’ Beach since it’s located off the Bate’s exit from the 101) is a new favorite patch of sand for us. Moving from LA County to Ventura County has been an adjustment, but we are loving the many dog-friendly beaches this part of SoCal offers. In LA there are really only two, and they don’t include Santa Monica or Venice. Sadly those beaches are not dog friendly. 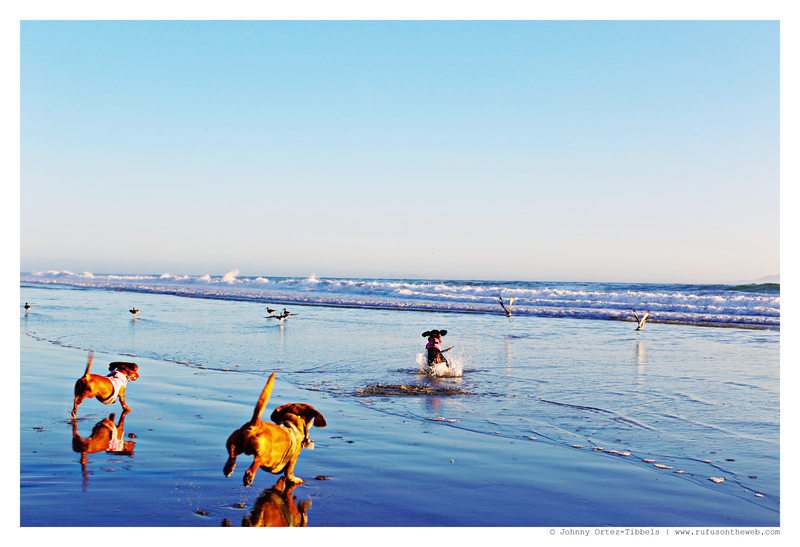 Today’s photos showcase my dachshund trio enjoy the water and more importantly chasing the sea birds. Rufus is our pack leader (when you don’t count me) until it comes to chasing the birds on the beach, and then Emily usually leads the charge full speed. Enjoy the photos dachshund friends. This entry was posted in Emily, Lily, Rufus and tagged #ADachshundsLife #HappyHounds, #black and tan dachshund, #dachshund, #DachshundPhotography #DachshundArt #OriginalPhotography, #dogbeaches #dogfriendlybeach, #red dachshund, #smooth dachshund, #WienerDogs #HotDogs, doxies. Bookmark the permalink. they are in their element for sure!! 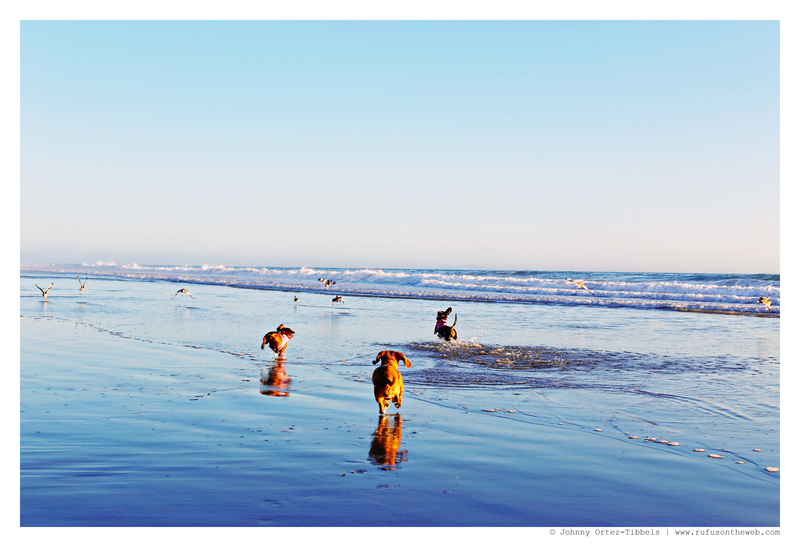 The best we can do up here for beach fun is Cannon Beach , Oregon, which is a dog’s playground. Though weather can be challenging ( rain & wind) it is gorgeous & there are miles & miles of sandy beach that go on forever & is very dog friendly.